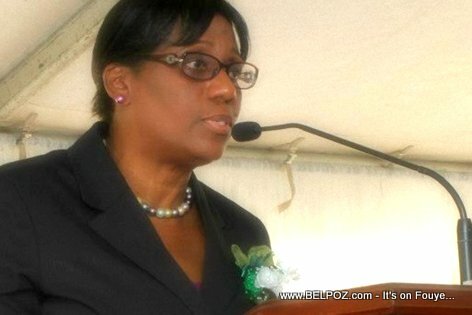 KREYOL: Haiti - RNDDH akize Nonie Mathieu, ancient presidente La Cour Superieur des Comptes kòm kwa li ta fè wout krochi ak 37 million gourdes lajan leta... Manmzel achte yon bann chèz, biwo, òdinatè e latriye pou yon pakèt lajan yo pa vo nan yon seri de konpayi bidon e ki pa janm delivre... Kisa ou panse de sa? What makes matters worse, besides the fact that the purchased materials listed on the RNDDH report cost way too much money, is that they were never delivered. No not everybody in Hait is a thief. There are a lot of serious honest hard working people in Haiti that want to make a decent living, respect the law pay their bill on time, but man those are swimming up stream and going down fast. Oh well, what else do you spect from those working for the government? Haiti is country where everybody are bunch of thieves. They all want to get rich and not working hard to be rich, and how Haiti will ever be a better place for all Haitian.